Hey, ya’ll, I hope you’ll forgive another soup recipe if it’s 80 degrees where you are, but seeing as we have tons of snow I’m still in full on comfort mode. 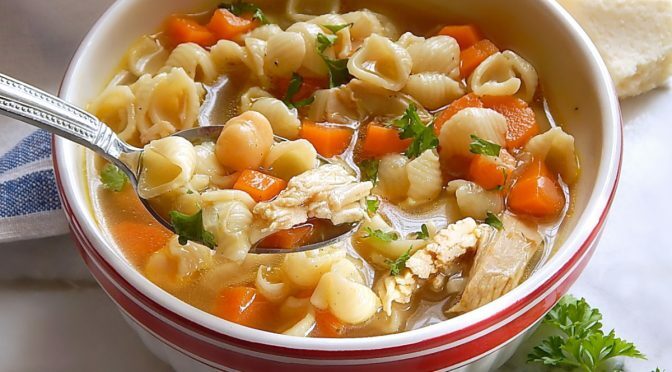 But maybe no matter what the temp is where you are, you’ll want to try this Chicken, Chickpea & Orecchiette Pasta Soup. Can I say Hygge? I feel a little silly when I get all trendy and say things like Hygge, but look it up. This soup will be in the definition.